Torralba Group is the leading Company in the extraction and commercialization of GYPSUM in SPAIN. Our affiliated company "Explotaciones Rio de Aguas S.A." is involved in at the extraction of gypsum from quarries and another affiliated company "Transportes La Fama S.A." transports our gypsum. Gypsum rock is dihydrate calcium (SO4 Ca.2H2O) a naturally ocurring non-metallic mineral. Gypsum is a necessary component in the production of portland cement and it is also the basic raw material for the production of plaster, plasterboard and plaster pre-fabricated products for the building and construction industries. 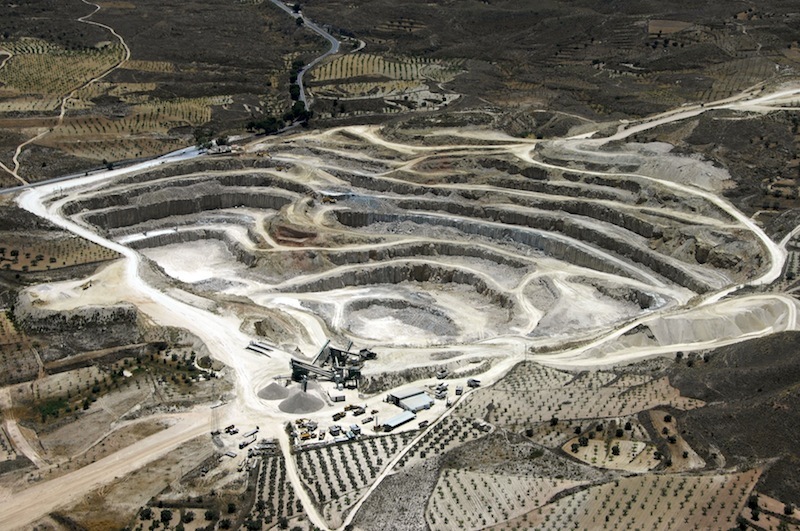 Torralba Group is the largest producer and exporter of natural gypsum in Spain. Over 300 ocean going bulk carriers are loaded every year, for destination markets in Europe, Africa and the Americas. Tonnages loaded on these ships vary between 3.000 and 55.000 metric tonnes per shipment. Gypsum production and shipment quality are inspected and certified by SGS, Société Générale de Surveillance. In addition to operating and extracting natural gypsum from their own quarries, the Torralba Group of companies manage gypsum, limestone, pozzolan and clay quarries owned in Spain by the large gypsum and biggest cement groups in the world. We are sure that the quality of our gypsum, our market prices and our 40 years of experience in this sector mean that we can come to agreements in an immediate future. We have a quarry rehabilitation policy in cooperation with Almería University. Torralba Group is now in a position to draw on its experience to serve the cause of biodiversity. Understanding our environmental responsibilities is extremely important. The Gypsum from our quarries is extremely pure and due to its crystallization, is seen as ecological as it does not produce dust during its production and transport. We obtained ISO 14001,this certificate accrediting the Environmental Management System which the company applies throughout its production processes. We also obtained ISO 9001, it is the internationally recognised standard for quality management.